Ashwagandha is a well known Ayurvedic supplement that many people take for its stress-relieving and anti-anxiety benefits. However, its name implies a much different function. Also known as Withania somnifera, Ashwagandha means ‘Smell of Horse,’ which refers to the supplement’s distinct smell as well as the conventional ideology that it will give you the power and virility of a horse. While Ashwagandha powder may not truly confer the power of a horse upon you, there is scientific evidence to back up its claim as a performance enhancer. Many performance supplements are limited in their scope; they commonly boost performance for athletes in tandem with an exercise program, but do not improve performance for sedentary individuals. Ashwagandha is rare in that it works for both groups. A different study aimed at elite cyclists measured Ashwagandha’s ability to affect maximal oxygen consumption (VO2 max), which indicates relative aerobic physical fitness. Participants were given 500mg of Ashwagandha extract for an 8 week period. The results were impressive. Individuals VO2 max increased by 12.5% and their time to fatigue increased by 7.2% as well. This means that Ashwagandha not only increased these elite athlete’s aerobic fitness, but also boosted their exercise duration, allowing them to perform better for longer periods of exertion. The proper Ashwagandha dosage is going to depend on the extract strength. 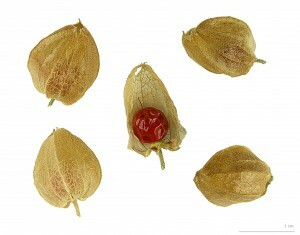 For an Ashwagandha Extract containing 2.5% Withanolides, a standard dosage is 500mg two to three times per day. The reason I’m taking Ashwagandha is mostly for performance purposes, because I’ve heard claims that it can increase performance in fitness and exercise. I like to work out. I do a lot on my time. I like to lift a lot of weights. Also, I’ve heard that it’s really good at increasing sociability. Now, I’m not exactly anxious. When it comes to social encounters I’m pretty social, but I don’t look forward to them. I think that’s something pretty cool that Ashwagandha Is capable of. I know a lot of people have the same issue and concerns, so if those claims hold up, that would be pretty awesome. I meant to mention that I’m also interested in the research showing Ashwagandha to be an effective cognitive enhancer. I want to find out personally how well it does that. Researchers in Japan discovered that it’s capable of causing neurogenesis, which is basically causing brain cells to grow, and making them more easily capable of communicating with one another, which increases cognition. To set a baseline of where I’m at now,I tested myself with dual n-back tests, which is basically used to assess working memory. Before taking Ashwagandha I scored 88%, which is all right but nothing too impressive. After taking Ashwagandha at 200 milligrams, I waited about 15 minutes for it to kick in, and then I did the dual n-back test again and scored 70%. To make sure my results were accurate, and I wasn’t distracted by anything, I did it again. I actually scored less this time, at 57%. So, it definitely had an effect on me. I felt really out of it, and a little loopy. The Ashwagandha has a tendency to have that effect, so it wasn’t exactly the best thing for working memory. At the end of this, I’ll be testing myself again, with another dual n-back test, but not after having dosed Ashwagandha , just after waking a little bit. Now I have an idea of whether or not it actually improved my cognition, or whether that’s mostly for people with brain damage, and other diseases that the study showed. Day one of taking Ashwagandha , I decided to take 400 milligrams before I went to a workout, which, on this date, was boxing. I did that about an hour before. It kicked in about 15 minutes afterwards, and I didn’t necessarily feel too tranquilized, which was good, because you don’t want to be too relaxed when you’re boxing. But, I felt a little out of it, somewhat of a detached state. It wasn’t too bad. I went to work out. Had a great workout. I noticed I was very relaxed, very loose, and I was reacting naturally, which is ideal when you’re boxing, versus forcing anything. I was in a great mood. I was really almost annoyingly in a good mood, and I was very sociable, which is different when I’m working out, boxing especially. I tend to keep to myself at that time in particular.I didn’t feel any kind of slowdown or none of that that I expected, which was awesome. So, that’s day one. Day two, I split my 400 milligram doses over the day. Two 200 milligram doses and I noticed the same things as day one. The same effects – the same calming effect – within 15 minutes. Other than that, there was really nothing noticeable this day. Day three was a bit more factful than day two. I took my 200 milligram pills in the morning. It kicked in almost immediately. 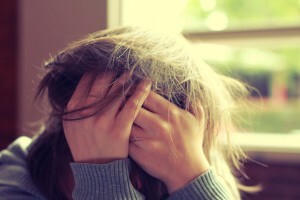 I had an improved mood, and I felt more clear-headed in my priorities. It seemed more obvious. I’m pretty sure that was because I was less stressed, so I was functioning a little more, mentally well. I was thinking more clearly. My second dose, I decided to go with 400 milligrams because the 200 milligrams wasn’t affecting me quite as much as I had hoped, and seeing as how I’m bigger than most people – I’m 250 pounds – I figured maybe I should be taking a bigger dose because of my weight. The 400 milligram dose, I actually only feel a bit out of it, and I still felt a bit anxious mentally in the same situations, which was strange, because normally I wouldn’t be so anxious in those situations. What was really interesting was even with the bit of anxiety that I was feeling, I felt more motivated to deal with those situations than I normally would, prior to taking Ashwagandha . It was an increase in anxiety, but there was also an increase of the drive to deal with that specific anxiety. Anybody that’s dealt with anxiety, knows that there’s usually more of a desire to escape, rather than face the situation. It compounds upon itself. I think it’s pretty cool that I had more of a motivation to deal with the situation, rather than get out of there. Something I forgot to mention about day three was this really intense feeling of detachment from everything. It’s almost that feeling when you’re dreaming, except you’re wide awake and you’re not quite sure if you’re dreaming or awake. A really uncomfortable feeling. Day four, that feeling went away quite a bit and I was feeling much more sociable than even prior to that. I actually almost went up to some random guy at the gym and started telling him something, which is something I – that’s just, you know, you don’t do. Part of me wonders if the dreamlike feelings are a result of some kind of chemical change or something, because the day before, I felt completely different from day four. That dreaminess was gone, but this day I felt very sociable, and I went out. I typically spend my weekends a little more isolated. It’s just how I usually prefer it, but I wanted to go out. I was pretty sociable with people in general. I thought the effects would have subsided by day four, but it just seemed like they continued to increase and benefit me. Day five there was not much to report. I just felt a little less inhibited, and the anxiety effects were a little less noticeable. I think this is where [Collin’s time 07:38] set in, but not so much. Day six was just about the same as day five. There was not much to report, and the effects of Ashwagandha felt diminished quite a bit. But, they were still noticeable enough. Day seven, the effects of AstroGin aren’t coming on quite as strongly as they were before, but they’re still somewhat noticeable. I think it’s one of those things you just grow accustomed to, and it kind of works in the dark now. It’s not so much that it stopped working, or you grow too tolerant of it. It’s just that you grow used to it, for lack of a better term. I’ve noticed that my sleep has improved a lot, because I do have trouble sleeping big time, at night. Getting to sleep. Typically, I’ll lay in bed for 30-40 minutes at a time, with my eyes closed, and nothing happens. But with this, after about 10 minutes, I’m out. I’m asleep, which is pretty awesome, because normally I have a lot of trouble getting to bed, staying in bed. As far as negatives, the only real thing I can think of is the taste, which I don’t think is that bad, but I also don’t really think pramiracetam or piracetam are that bad tasting, so my opinion probably doesn’t count on this one. The only drawback I can think of right now of Ashwagandha , is that I’m feeling it may be making me feel a little too relaxed and too laid back in certain situations where I don’t want to be relaxed or laid back. For example, getting something done by a due date. Or, let’s say, when I’m boxing, and I’m a little too relaxed about the guy punching me in the face. That’s not something where you just want to be overly calm. Basically, I’m just saying that stress, in certain situations, isn’t necessarily a bad thing. Also, I’m starting to think that it’s making me a little sleepy during the middle of the day, so I may be switching up my dosing regimen. We’ll see.